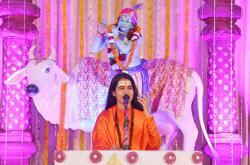 ‘When meditation is mastered, the mind is unwavering like the flame of a lamp in a windless place’ says Lord Krishna. He states that eternal knowledge or Brahm Gyan is the right of one and all and can be attained by complete devotion to a true spiritual master. 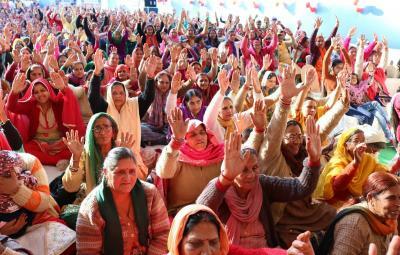 Such pious nectar of wisdom was spread in Jammu and Kashmir through a 5-day Krishna Katha from 13th to 17th November 2018. 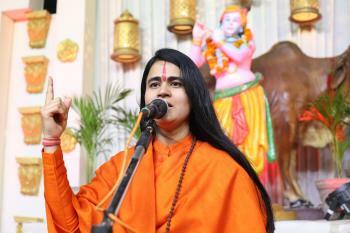 The orator of the Katha was Sadhvi Rupeshwari Bharti Ji. 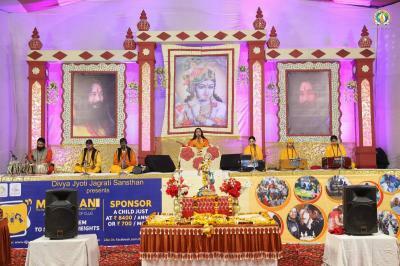 The program commenced with prayers at the Lotus Feet of Lord Krishna, followed by melodious devotional songs presented by the trained musician disciples of DJJS. 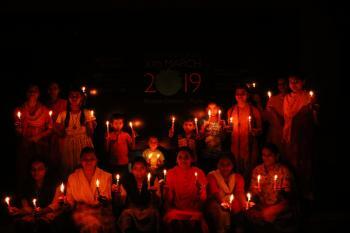 The mammoth gathering of attendees participated whole-heartedly in the prayers. 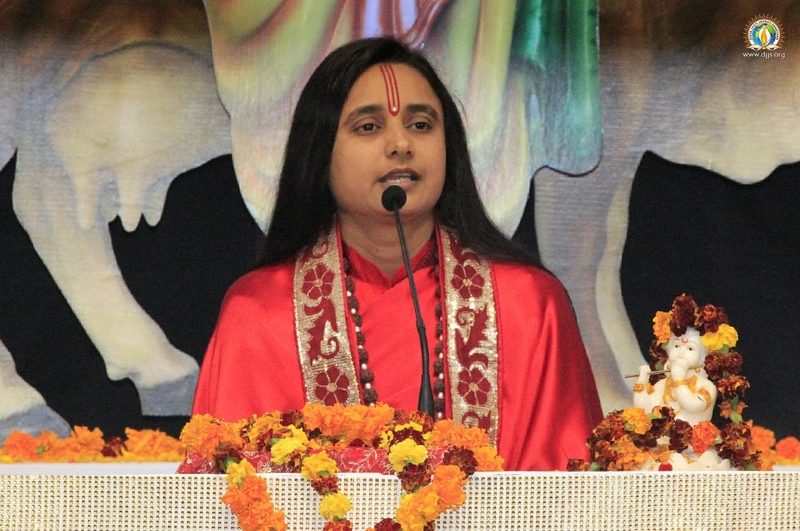 Sadhvi Ji started the Katha with childhood anecdotes of Lord Krishna and talked about the amount of devotion that the Gopis had towards their Lord. 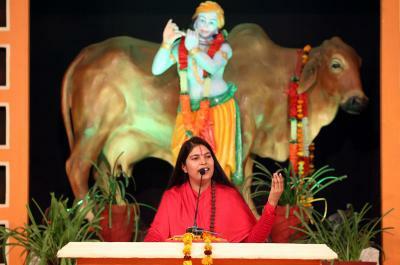 Sadhvi Ji emphasized on Krishna’s teachings and mentioned that He was the Perfect Master of that era, who bestowed his followers with Divine Knowledge, which is the actual perception of God within oneself. 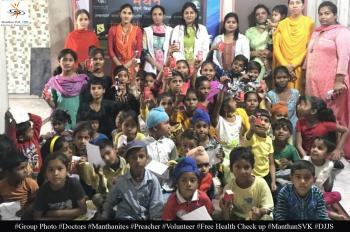 Those who attended the entire katha witnessed the flowing divinity throughout the program and celebrated the spiritual awakening that the program offered. With every passing day, their curiosity to know more kept increasing. 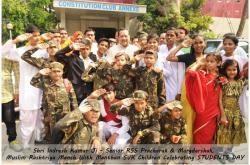 The soul-stirring musical compositions added to the devotion in their hearts. 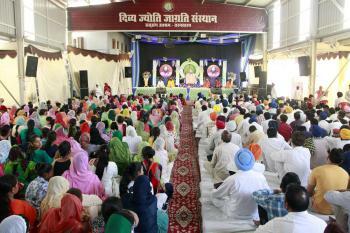 The program highlighted the importance of Brahm Gyan which is the technique through which a spiritual seeker's Third (inner) Eye is awakened by a Perfect Spiritual Master (Guru). Sadhvi Ji explained the profoundness of Brahm Gyan which alone can unite the world, as it helps one realize their true source of being. Shri Ashutosh Maharaj Ji, the perfect master of the times, bestows Brahm Gyan to one and all. 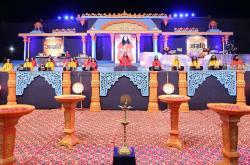 The amalgamation of significant anecdotes from Lord Krishna’s life and the divine music left the audiences mesmerized. 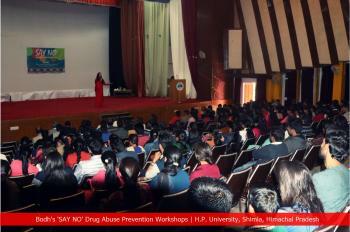 The program held the attention of the audiences for all the 5 days and their numbers kept increasing with each passing day, thus making the program a huge success.